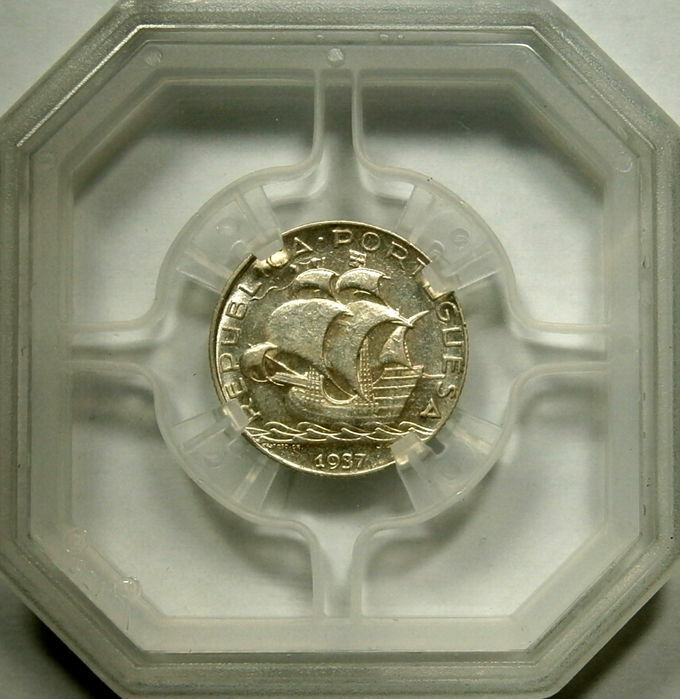 From the beginning, the animals had their place on coins. The first pieces, struck in the Lydian city of Sardis, on the southern coast of present-day Turkey, were adorned with the head and neck of a lion. 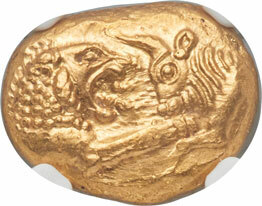 Croesus, the legendary and wealthy king of Lydia, introduced, in the middle of the sixth century BC, a monetary type showing the heads of a lion and a bull facing each other, which the Greeks called the staters of Croesus. These animals were invested with an emblematic function. The tradition of identifying a personality or city-state with an animal goes back at least to the Mesopotamian civilization of the 3rd millennium BC. As coinage spread throughout the Greek world, the number of varieties represented increased as each city-state wanted to have its emblem. 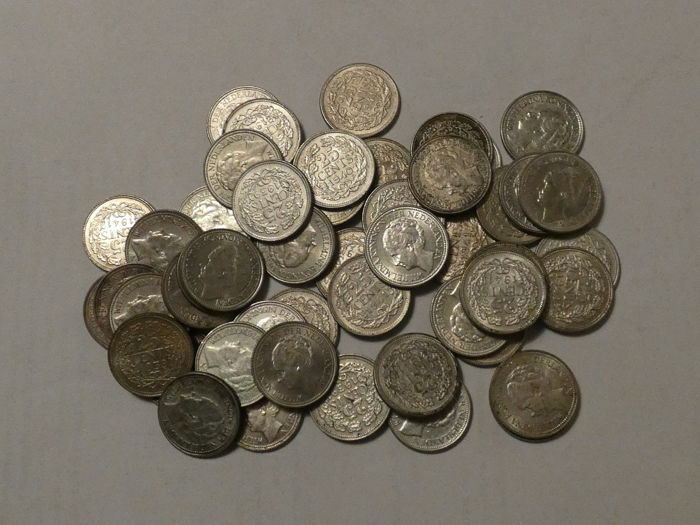 The island of Lesbos, for example, issued coins decorated with two rams heads, and the coins of Syracuse, Sicily, were recognizable by their dolphins or octopuses. 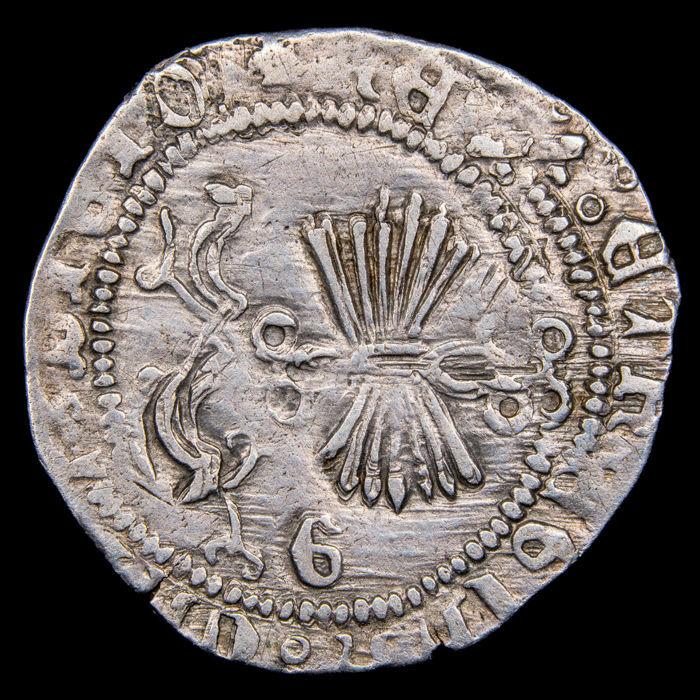 Some of the animals that adorned the currencies also embodied moral or physical qualities attributed to the issuing authority. The eagle that appeared on the coins issued in Elis was both a political sign, the eagle being the animal consecrated to Zeus and Elis controlling the largest shrine dedicated to this god, in Olympia, as well as a sign of strength and majesty. 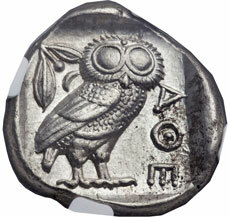 In the same way, the owls adorned the Athenian coins because Athena, the goddess of that city, was always accompanied by this bird of prey, which symbolizes wisdom. 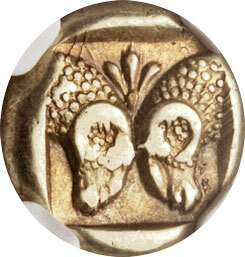 In addition to the emblem of the city, some primitive Greek coins bear the mark of the master engraver. An example is provided by the praying mantis, next to an ear of cereals, on a currency of Metapontion, in southern Italy, around 350 BC. Engravers have chosen as symbols to identify other types of insects such as beetles. Many Greek cities used mythological animals to decorate their currencies. Pegasus, the winged horse of Perseus, appeared on Carthaginian coins, while the city of Byblos, in ancient Phoenicia, was symbolized by a strange animal, half horse and half dolphin. 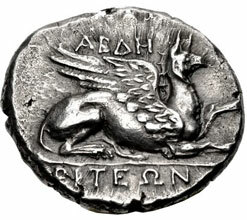 Many of these mythological creatures were depicted on Mesopotamian coins, such as the griffin, which appeared on the coins of Abdera, in Thrace. Sometimes the animals were chosen to symbolize a place for no other reason than the similarity of their names. 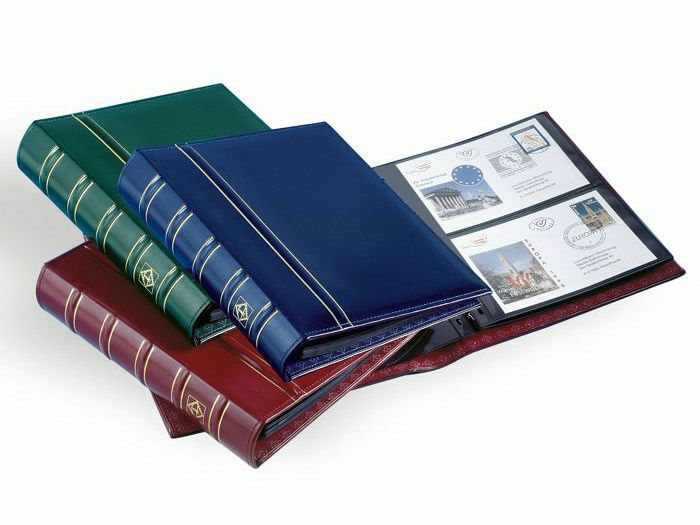 This explains why, in 550 BC, the Greek city of Phocaea took as its emblem a seal (in Greek, phoce). 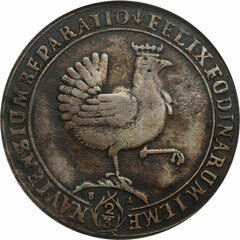 Centuries later, in 1695, the German County of Henneberg, for the same reason, represented a hen (in German,henne) on a piece of silver. Following the conquests of Alexander the Great, in the fourth century BC, the representation of animals on coins became more rare, which was partly due to the fact that the types became more political, especially after his death, when his empire was divided among his many successors. While these new and powerful kingdoms rarely possessed an emblem that distinguished them from their neighbors, their monarchs showed growing concern for their own images or exploits. This was the start of identification of coins through the portrait and name of the king under whose authority they had been struck. And the function attributed to animals changed, most sovereigns wanting to be shown mastering them. 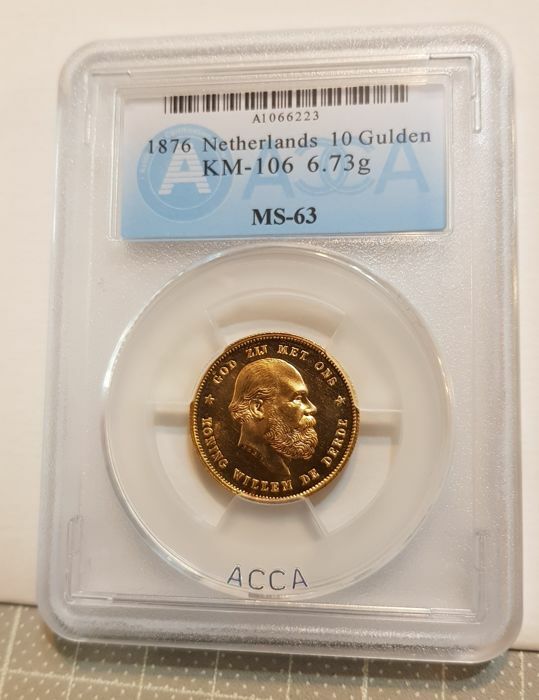 On the Indian coins of the Gupta dynasty, around the fourth century AD, we can see kings hunting and killing lions, tigers or rhinos. These images glorified their power, like the elephants that appeared on the coins of the Pandya dynasty (South India) towards the end of the first century of our era. This pachyderm, which enjoyed royal protection, was used in combat in primitive India where it embodied strength and victory. The Romans used animals to symbolize the vanquished nation. 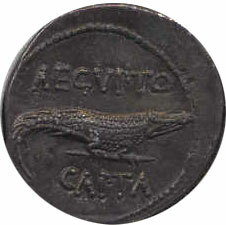 The reverse of a gold coin of Emperor Augustus (27 BC - 14 AD) bears a crocodile representing Egypt, which had just been attached to the Roman Empire. But this remains an exception, as animals rarely appeared on the coins of the Roman Empire or the end of the Byzantine Empire. The coins of this period more frequently celebrated the achievements of the emperor, even if the mythical wolf that raised the twins Romulus and Remus appears on Roman coins of different times, and still appears on modern coinage. In the Middle Ages, animals were again used as emblems, but this time for nations or empires. Sometimes, they represented a particular sovereign while carrying a religious message. A prevalent Christian coin type then showed Christ as a lamb of God (embodying the values of purity, innocence and patience), that is, as a sacrificial lamb. 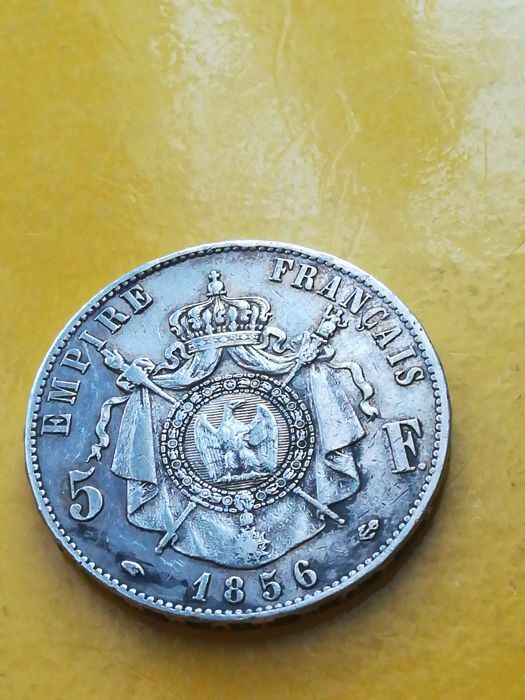 Coat of arms are still an important source of inspiration for coin designers, while animal representations are spreading around the world. Some nations choose to be represented by one or more animals, especially when they are associated with the country. 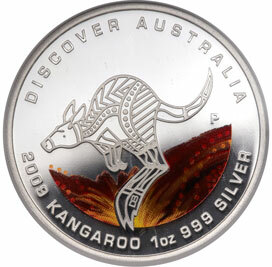 This is the case of Australia, where some currencies show a kangaroo or an emu, animals that are found exclusively on this continent. 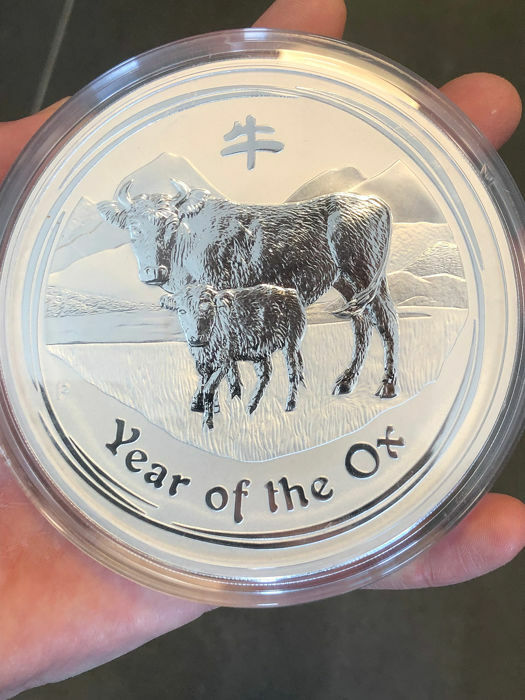 Animals can also be used to convey complex or simple messages, and many have been chosen, over the centuries, to perform this function on the field of coins.